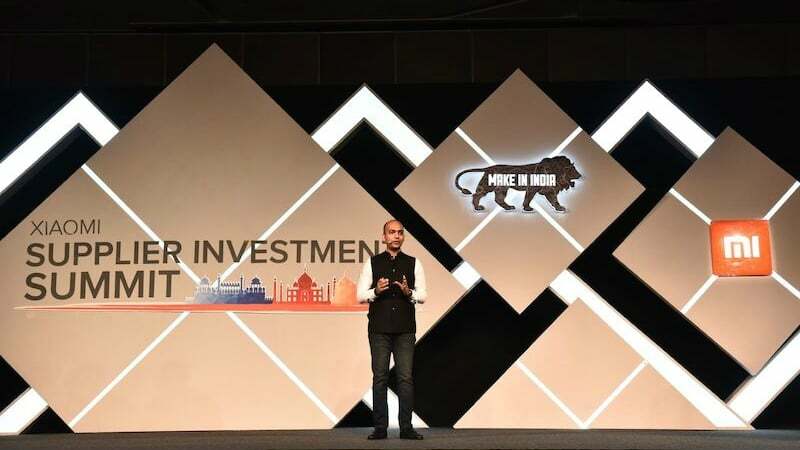 Xiaomi today announced the opening of three more smartphone manufacturing plants in India, at the ongoing Xiaomi Supplier Investment Summit Event. At the same event, Xiaomi has also announced that it started manufacturing smartphones at its power bank plant in partnership with Hipad Technology in Noida, Uttar Pradesh, resulting in a total of six smartphone manufacturing plants in India to date. This is possibly the biggest move the Chinese company made this year. And there’s more. The company also announced its first SMT (Surface Mount Technology) plant dedicated towards local manufacturing of PCBA (Printed Circuit Board Assembly) units in Sriperumbudur, Tamil Nadu, in partnership with Foxconn. As stated, Xiaomi made these announcements at the company’s first-ever Supplier Investment Summit in India today where the company is hosting over 50 global smartphone component suppliers to educate them about the Indian manufacturing ecosystem, with the aim of helping them to set up local manufacturing units in India. “If all the suppliers set base in India, this would lead to one of the biggest ever single investment in the electronic manufacturing industry, creating a big pool of jobs. It would potentially bring in an added investment of over 15,000 crore rupees ($2.5 billion) and create as many as 50,000 job opportunities in India,” said Xiaomi in a press statement. Xiaomi says that it completely follows the Indian Government’s ‘Make in India’ initiative. The company’s first smartphone plant was built in partnership with Foxconn in 2015, followed by its second plant in March 2017, and its first power bank plant (in partnership with Hipad Technologies) in November 2017. To date, over 95% of Xiaomi smartphones sold in India are made in India. The three new smartphone plants announced today are built in partnership with Foxconn. The plants are located across campuses in Sri City, Andhra Pradesh and a new campus in Sriperumbudur, Tamil Nadu with a total campus area of 180 acres. The factories with Foxconn now employ more than 10,000 people, of which more than 95% are females. Additionally, all of the assembly work is done by women. The new factories will result in increased production capacity of two smartphones/second during operational hours stated the company. The newly announced SMT plant where the company will be manufacturing PCBA units is located in Chennai, Tamil Nadu. Xiaomi has also become one of the pioneers in the country to start local assembly of PCBAs. PCBA is one of the most important components of the smartphone, and contributes to nearly 50% of the value of the phone. Xiaomi expects to ramp up its PCBA production to close to 100% of its locally produced phones within Q3 CY 2018. This is what will happen on a larger scale in the future when we have a strong government working for the country and not against it. Lets see when Xiaomi opens these plants. Lets see if they can match there promises.